Taldans was officially established by Mustafa Kaplan and Filiz Sızanlı in 2003. The partners met each other and worked on their first project in 1996 at Theater Research Labratory. Kaplan’s engineering and Sızanlı’s architectural background have influenced them towards establishing a common language. Taldans received its name from “Theater Research Labratory” (Tiyatro Araştırma Laboratuvarı) under Istanbul Metropolitan Municipality’s Theater in earlier times. Beklan Algan and Ayla Algan, who were administors of works on creative acting and theater anthropology, opened the doors of TAL to dance work as Taldans realized its first work there. Under the supervision of Mustafa Kaplan, the dance work and laboratory theater’s effect and contribution turned into free dance courses, dance/movement workshops and exhibitions to meet the movement needs of dancers and actors/actresses. The partners exhibited their first work in this studio with the name ‘Taldans’. Within Laboratory Theater, the increase of participants of practices of dance/movement work through “sharing experiences” caused them to move from Tal Studio to a new space in 2001. The first three years was without any name, but was full of courses and exhibitions at their new address, Sadri Alışık Sokak No.33 in Taksim; resulting them to establish ÇATI Çağdaş Dans Sanatçıları Derneği (Contemporary Dance Artists Association) in 2004 with former and new members’ participation. As one of the founders of ÇATI Association, Kaplan and Sızanlı continued their work and production as Taldans under this structure. In 2005, they moved to a new studio space in Tophane and continued Taldans’ and their own relations and productions with ÇATI Association in the following years. Taldans’ first three works “ÜÇŞEY”, “Uyumlama”, and “Dolap” were realized under Kaplan’s supervision. In the following seven works, “Sek Sek”, “Solum”, “Graf”, “Dokuman”, “Site/İp”, “Eskiyeni”, and “Acilen Hareket Etmek Gerek” were the partners’ common productions. The partners’ common productions and common production experiences contributed them, Taldans, to produce common productions with other groups. Taldans was only made up of Kaplan and Sızanlı for a long time; they were wondering what two interacting brave bodies could produce as mixed mechanisms within an unstructured logic, while making cautious physical discoveries. In the first phases, through influence of Kaplan’s engineering education, Newton’s physics essentials, reflection, collision, falling, momentum and others, were the core of their work; with the theater tradition, laboratory was determining the productions and concepts of their work through “energy dramaturgy” and “undecided balance”. Following their work “Dolap” and “Sek Sek”, which was exhibited in more than 50 festivals in various countries, their work has been recognized by mass audiences abroad. “Dolap” and “Sek Sek” were focusing on the essentials of the body’s relation to architecure, gravity, and concepts of space and game. After a short period of time, it was realized that their intention was not only to work on physical conditions, but also to mention complex notions of memory and imagination through the outcomes of the body’s interaction towards space and acoustics. All this research work made them approach collaboration with artists like Cevdet Erek, who is a visual artist and compser, and Erki de Vries who is a visual artist who enjoys working in the field of theater. The context created by De Vries and Erek suddenly highlighted in these works themes that were only implicit in the earlier works of Taldans. ‘Graf’ for instance was full of moments in which ordinary causal relations were turned upside down, where inanimate objects suddenly got a life of their own, body parts were deformed or presented in a hardly recognizable way or ‘impossible’ things happened. It was as if a Newtonian concept of natural science was traded for a post-Newtonian idea in which space and time could bend in all directions. It was Taldans’ ironic way to ‘revisit’ their former scientific education to look at it with new eyes. In 2009, ‘Dokuman’ then was the first work in which Kaplan and Sizanli were no longer the only performers. Apart from De Vries and Erek, two other dancers took part in this work. This piece revolved around the idea of ‘fabric’: the interplay between the dancers led to different ‘fabrics’ of movement. These were often very simple gestures that were passed on between the dancers in an all but mechanical way until after some time cracks and failures showed, which led again to other ‘fabrics’. Here as well, the logic that was at work seemed to develop a life of its own, outside of normal knowledge, but also outside the will or efforts of the dancers. Memories always were an important source of inspiration in these productions. As memories are not just a reproduction of moments in the past but actively edit, if in a largely unconscious way, the raw data of life, they can be a source of images, concepts and movement materials that offer uncommon views on that same life. What interested Taldans mostly was the way in which the human body seems to be a kind of container that stores memories: they pop up when redoing an action. But they also change in their reenactment. Reenacting is reconsidering what was there before. In ‘Eskiyeni’, this kind of memory is a central issue. The basic material for the piece are the memories Kaplan and Sizanli have of their former work together. They revisit it. As Sizanli was pregnant at the time of the premiere, it was impossible for her to redo the exacting exercises of earlier work. The artists however turned this problem into an unexpected benefit. By inviting another dancer, Hai Wen Hsu, with a very different background to work with the material of Sizanli, unexpected things happened. The difference between the original acts and the new interpretation, but also the way in which the personal memories of Hai Wen Hsu came into play all helped to show the malleable, imaginative quality of memory and the way (aging) bodies have an impact on them. It showed how memories can become alien to their owners and get new meanings. One other thing stood out in this production. Text until then was hardly present in the work of Taldans, except perhaps for the muffled words spoken in ‘Graf’. Here however, it acquired its own place as a possible tool to express memories. Kaplan and Sızanlı have also produced solo performances other than group works. One of the first solo projects of Taldans, “Solum”, turns the sentence “my body is my country” into a result of fictive autobiographical work in Kaplan’s solo; while Sızanlı’s sentence “how can I lie with my body” turns into the alienation of the body and multiple bodies within one. While “Solum” means “a road taken by one” in Latin was in the form of how duo consisted of two solos presented to the audience in 2004. The second solo work, “İp/Site” in 2012, covers the body through its environment and social context, while editing the stage and external space within one, to be called as a site specific project, “space/city” and “social setting” were distinctive. Kaplan transformed the artifacts and symbols he had collected from Casablanca and Copenhagen into another space and while he was transfering/transforming it, presented this within a form of co-edited installation and performance as if he was a collector. On the other hand, Sızanlı focused on the hospitality and unhospitality of environments, households, structures and objects through the existence of structured forms of “art and art work” and “power/architecture” in Tunis and Antwerp. In other projects, after “İp/Site”, Taldans started working through concepts of “public space” and “artist meetings/gatherings”. In June 2013, they started working with a Portugese performance artist Vania Rovisco and a Belgian dramaturg Pieter T’Jonck, asking the question of “what is the relationship between science and art?” and while working on it, witnessed “Taksim Gezi Park” demonstrations. While questioning the art and life relationship, their witnessing of Gezi Park influenced their work directly, resulting in the project “We Need to Move Urgently” in January 2014. In the same period, Taldans received a call from Polish Adam Mickiewicz Institute for celebrating 600 Years of Turkish-Polish Relations, and Taldans invited a group of Turkish and Polish artists to work on a common project. Artists from those two countries came up with the project, “600 Steps” where they searched for means of re-discovering/experiencing a city and worked on the strategy of visiting a city within 600 ways. This work was produced with the participation of an architect, a choreographer, a contemporary artist and performance artists, involving video, painting and performance, partly in interior spaces and also in cosy central parts of the city, in October 2014 in Warsaw and in November in Istanbul. In May 2015, as guest artists in the “X-Apartments” project, they worked together with a Syrian refugee family living in Athens. In this project, the Syrian family shared their problems and stories of being refugees and living in another land/country through the concept the the creation of Taldans and presented it to the audience. In 2017, “Victory Over the Sun” that they have researched relationship between text, rythm and body was premiered at the 21. Istanbul Theater Festival. They also represented at Trajectoires Festival in Nantes. In 2018, with the collaboration of the French choreograph Julie Nioche, “Ritual for Sensitive Geography” premiered at Paris le Bal Gallery in the frame of June Events by Atolier de Paris. It was also represented at National Theater Wales’ NHS70 Festival, Trajectoires Festival in Nantes and Le Grand R, in La Roche-sur-Yon (FR). In 2018, “Dokuman”(2009 creation) was revisited as “DO KU MAN” with a fresh interpretation and with new and larger cast. The premiere was held at the 22. Istanbul Theater Festival. Kaplan and Sızanlı’s on stage or off-stage productions have direct relations with their engineering/architecture academic background. Off stage productions through architecture ask the question of how they can work with cultural and public spaces, seeing all spaces as play/performance spaces. Since 1996, besides all of the performances they have produced, Taldans has organized and realized dance/movement lectures, workshops and artist meetings. Mustafa and Filiz still work together. Mustafa Kaplan was born in Konya, Turkey. He studied Telecommunication and Electrical Engineering at Yıldız Technical University in Istanbul. During his studies, he started taking dance classes from Geyvan McMillan in 1984. He took theatre lessons from Bulunmaz Theatre Company in 1985. Although he graduated from the university in 1990, he never worked as an engineer. After dancing in the Modern Ballet Company between 1989-1992, he worked at the Theatre Research Laboratory which is a part of the Municipal Theatre of Istanbul as a choreographer and dancer for about ten years. 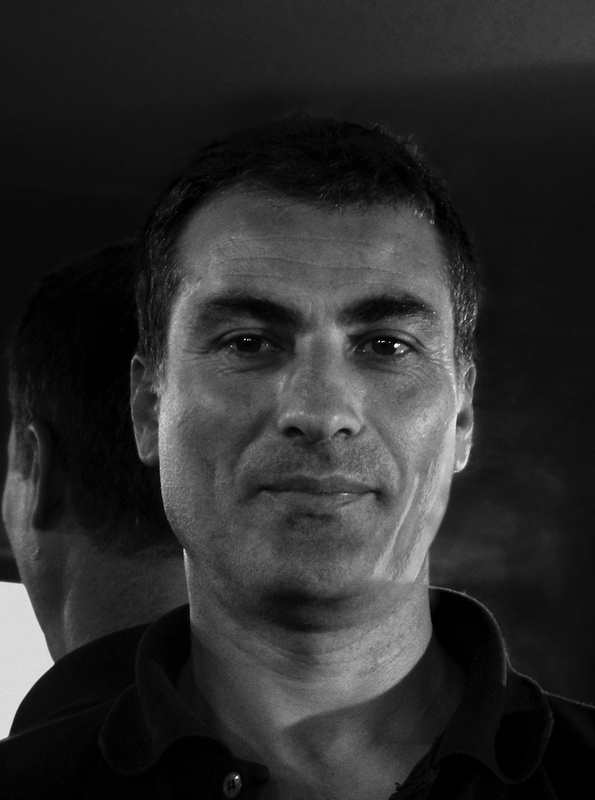 He is the co-founder of dance and performance companies, such as Yeşil Üzümler Dance Company, Dans Fabrikası, Taldans Company and Çatı Association. Apart from his own choreographies, he danced in pieces. He is one of the director of Taldans Company with Filiz Sızanlı since 2002. Besides the performances, he is giving lessons at Mimar Sinan University Fine Arts Faculty Dance Department, coordinates and organizes dance, body and movement based workshops for both amateurs and professionals. After graduated from Istanbul Technical University’s Department of Architecture, in 1997 SIZANLI participated in various projects of Theatre Research Laboratory of Istanbul Municipality Theater. In 2000, she was among the co-founders of Çatı Contemporary Dance Artists Association in a collective artist group. Between 2001-2005, she worked with Mathilde Monnier at Centre Chorégraphique National de Montpellier (CCN) as state artist, besides working on different projects with Emmanuelle Hyunh, Mustafa Kaplan, Yann Marussich and Julie Nioche. In 2003, she found Taldans Company together with Mustafa Kaplan. 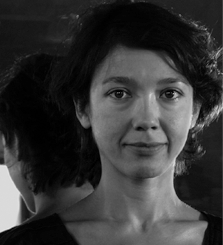 She gave classes on body and space relation in dance and movement classes at Eskişehir Anadolu University State Conservatory Theater Department between 2013-2015, at Eskişehir City Theater and she’s been teaching at Mimar Sinan Fine Arts University State Conservatory Contemporary Dance Department since 2017. She was accepted to MFA at MSFAU Contemporary Dance Department in 2018.